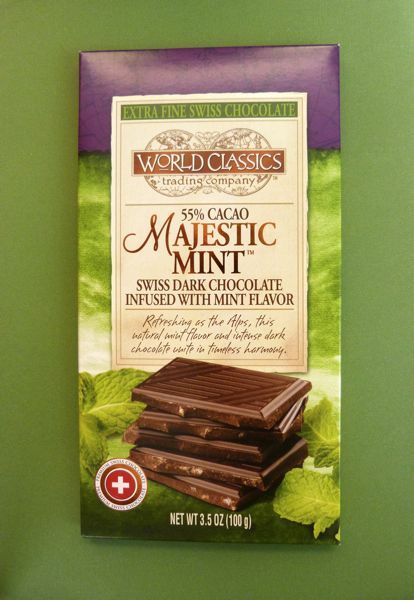 Today's attractively packaged World Classics Trading Company Majestic Mint bar was made from Swiss dark chocolate (55% cacao) and infused with peppermint -- in the form of peppermint infused sugar pieces -- which gave the bar a pleasantly sweet crunch. 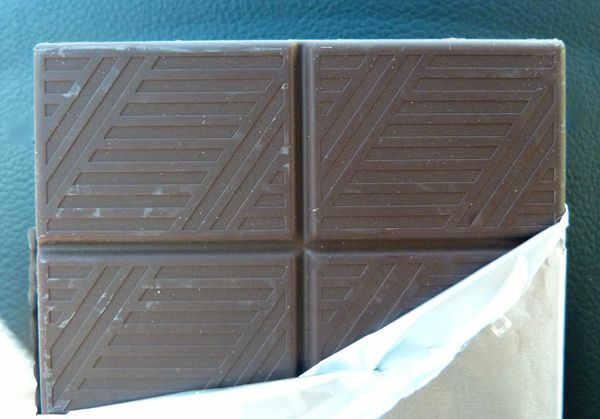 The chocolate bar itself tasted good, albeit a bit bland, but was slightly brittle. This was likely due to the bar's expiration date: Jan. 22, 2011 -- well over a year ago.